The team behind Showtime‘s Homeland is in a tight space right now. Coming off of one of the most critically-accalimed debut seasons ever, they have to dive right in to a second season and prove that they’re no one-trick pony. And, after the audaciousness of ending the first season with electro-shock treatment for the lead character, we will be watching to see how they pull off the next move. That being said, I am anything but worried. 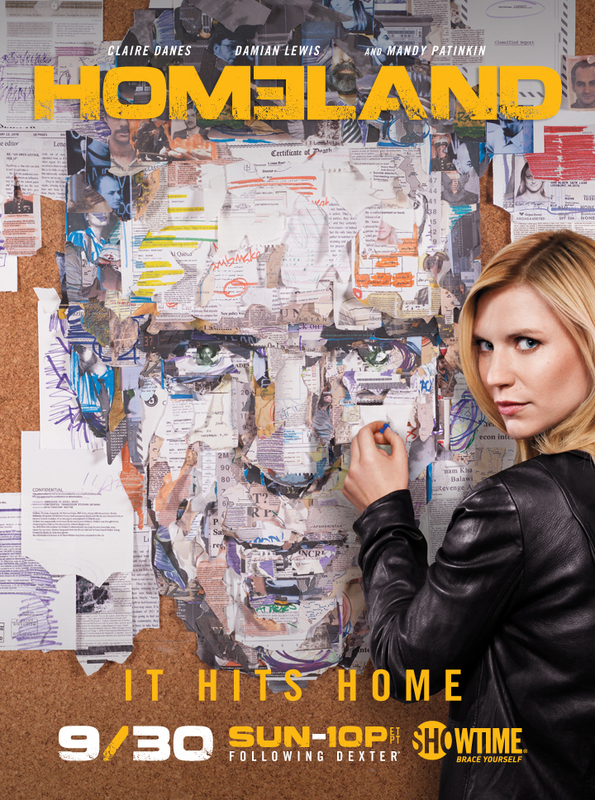 In fact, other than my beloved Treme (which I’ve been waiting more than a year for), Homeland is my most-anticipated returning show this fall. Damn, I just realized they are time slot competitors. I suggest you watch both. That’s why God created the DVR. The new trailer doesn’t actually reveal a lot of new intel, other than Carrie (Emmy-nominated Claire Danes) is wearing contacts, spending time in the Middle East and smiling at Brody (Emmy-nominated Damian Lewis) when he opens the door for her? Saul (Mandy Patinkin) looks brooding as ever (which we love), Brody looks guilty as ever (again, which we love), Jessica has let her hair grow out more (yeah, this one I don’t love; Morena Baccarin looks better with her cropped alien look from V), and that annoying daughter of Jessica and Brody’s is still around. I, for one, am cool with all that. Keep me entertained as the season progresses. I am, without question, sure they can handle that. Oh, and the video is set against a slow-burn, haunting version of the Police’s “I’ll Be Watching You,” by Scala & Kolacny Brothers, a Belgian women’s choir. The video is below. The second season of Homeland starts on Sunday, September 30 at 10PM EST.